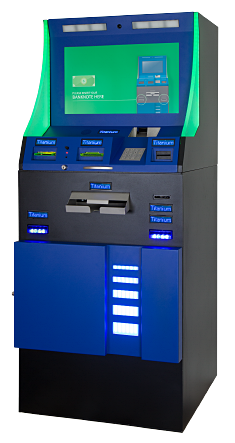 High capacity kiosk solution for automated cash handling in machine-based gaming. The new invented high capacity kiosk solution CashIO TITANIUM is avaiable now. CountR offers CashIO TITANIUM with the whole functionality provided from our well known casinoterminal CashIO Platinum. CashIO TITANIUM is specially designed for high capacity installations with up to 6 note dispenser channels and offers a dual note/ticket acceptor solution.